I would like to know what the English name is for the Italian word fondo di carciofo as I was not able to find it on the Internet. 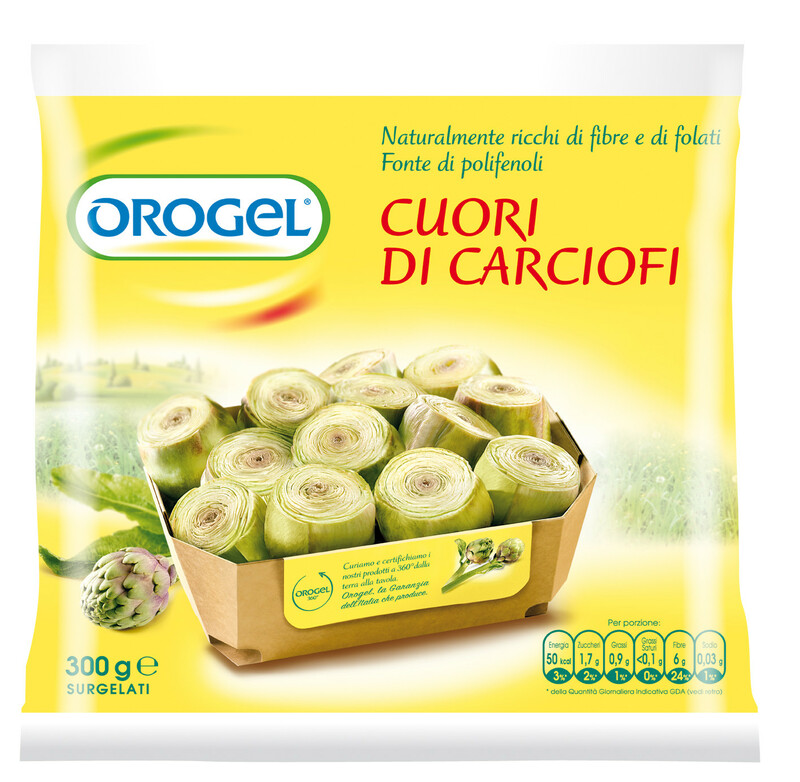 Basically, carciofo means artichoke and fondo means the bottom part (not the heart which in Italian is cuore, and not the stalk which in Italian is manico, although sometimes the stalk is included with the bottom part and sold together and such combination is very delicious indeed). 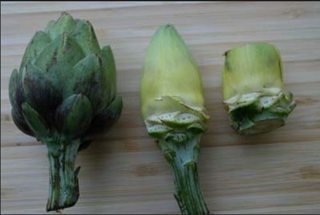 Here is the closest picture I could find on the Internet for the artichoke bottoms with stem, although the stem has been cut away from the artichoke bottoms. Too bad I could not find a picture with both in one piece as in Italy they can often be purchased in such way; next time I go to the market I will take a picture and post it. 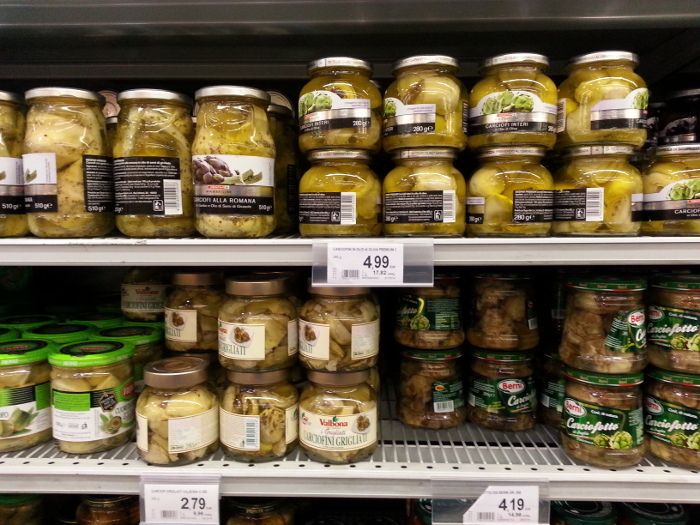 That pretty much sums up the whole story about artichokes in Italy. 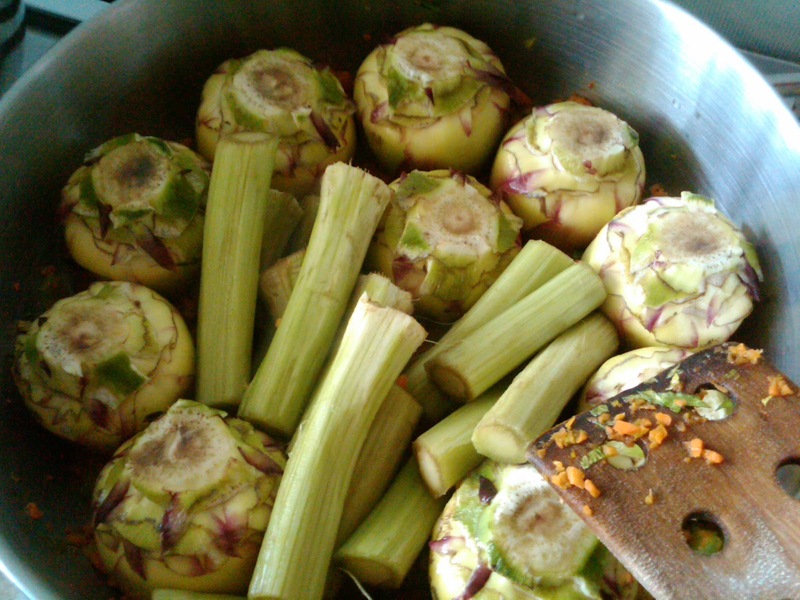 What's the best/proper way to translate fondi di carciofi into English? 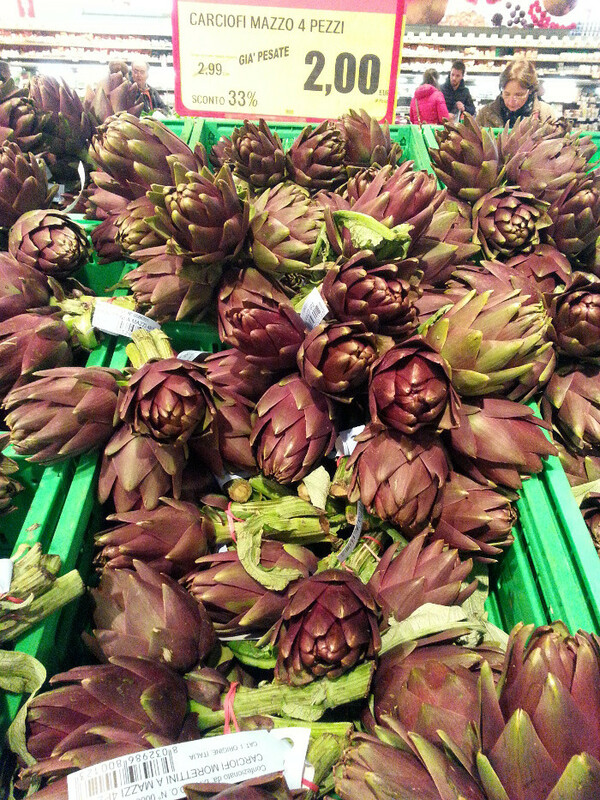 (American English speaker here) To me, the picture of "fondo di carciofo" is a picture of artichoke hearts. 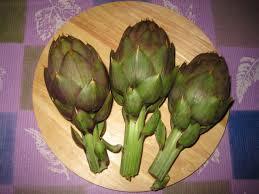 That's because the choke develops as the artichoke matures. 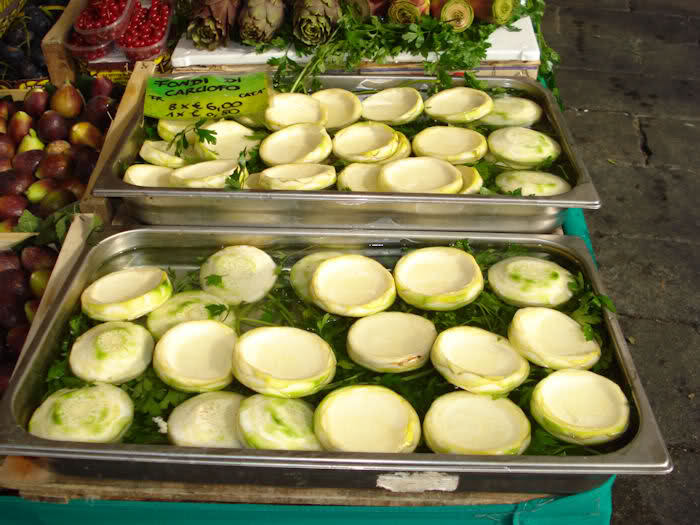 So if I asked for "baby artichokes", I would expect to get what is pictured above. 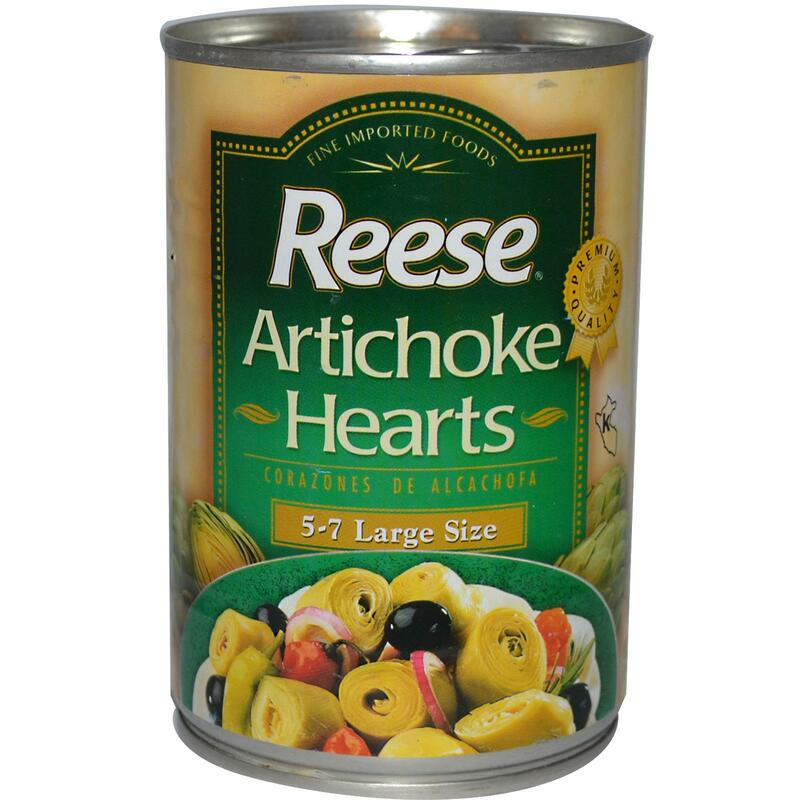 If I want what I think of as "heart", I would eschew packages labeled "artichoke heart", because I know that what they would actually contain (in the US) is trimmed baby artichokes. 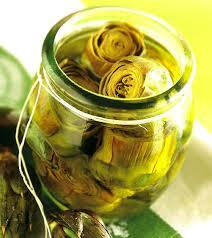 I LOVE artichoke hearts, I try to get plenty of stem too. 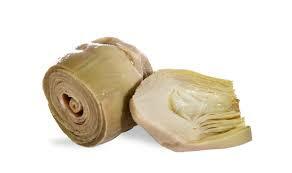 I'm talking about the bottom portion of the mature artichoke, after you pick off the leaves and scrape off the choke. Which just has a small part of the choke removed. So, I guess "the bottom part of a mature globe artichoke, the base, what some people consider the heart and others call the bottom or even the crown, where the stem attaches" would be a way to say it in English and not be misunderstood. If, in fact, I am understanding the question. I've seen the convex bottoms sold as "artichoke crowns" (separated from any tiny leaves or stem) on occasion but Alibaba sometimes lists them as "artichoke bottoms". Thank you all for your responses. 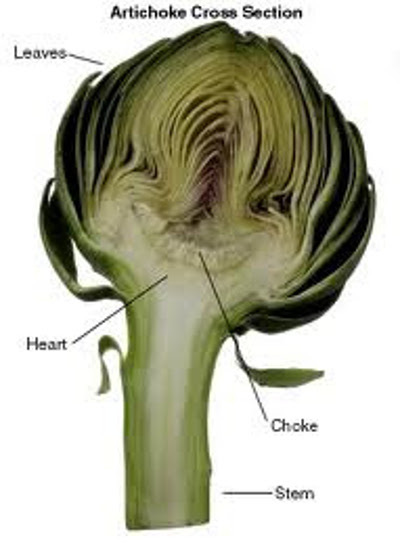 What I was able to conclude is that although the Italian word cuore translates into the English word heart, and while in Italian cuore di carciofo always refers to the inner leaves of an artichoke, the word artichoke heart seems to be used synonymously with artichoke bottom, artichoke crown, and artichoke base in some places, while being the equivalent of the artichoke heart translation from Italian in some other places where it still refers to the inner leaves. Needless to say, despite having used these images for illustrative purposes to show how these words are being used around the net, I couldn't resist making the statement that compared to fresh ones, packaged and canned artichokes are really gross, both as far as taste is concerned as well as when we consider health issues (all those added preservatives), and this is especially true of the canned ones which I would never ever buy and taste like tin! The word baby artichoke can be somewhat misleading, because while this seems to refer to the inner portion of the globe artichoke in some contexts, it can also be used to refer to some varieties of artichokes where the globe artichoke itself is small when compared to the globe artichoke of artichokes of other varieties which have bigger globes. 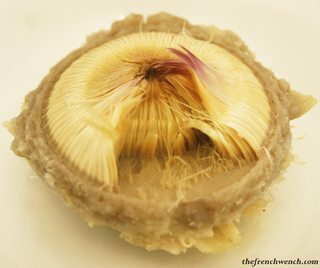 This picture, on the other hand, shows how the top part of the artichoke could also be purchaed as a whole from the same place. 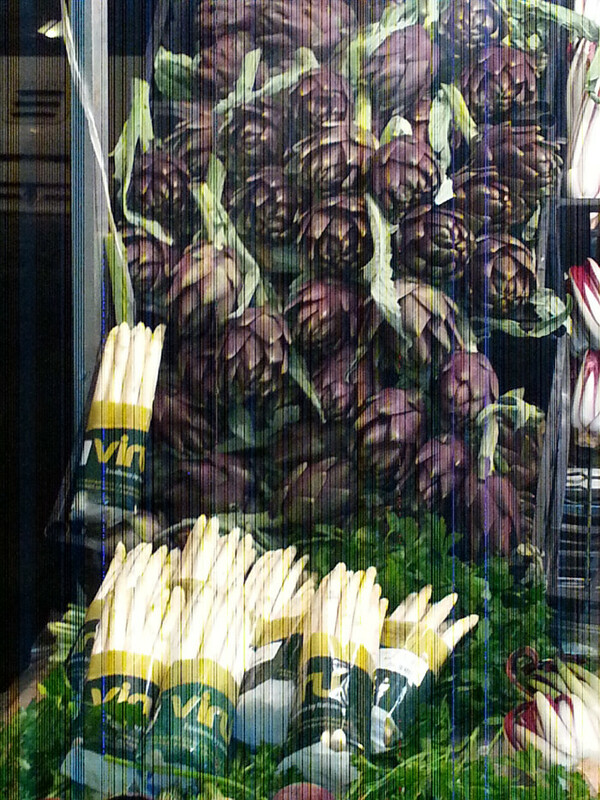 I like this purplish, blackish, large variety of artichokes (which is the same variety the parts in the picture above are taken from), above the white asparagus. 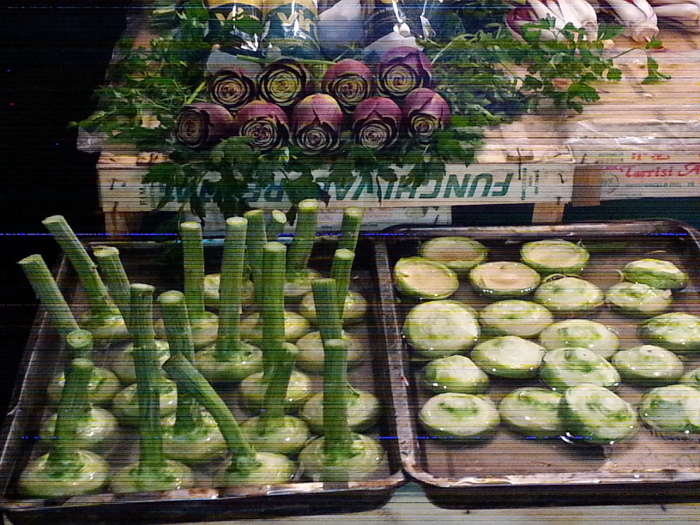 Notice the sheer size of these artichokes (and of these asparagus)!!! Not the answer you're looking for? 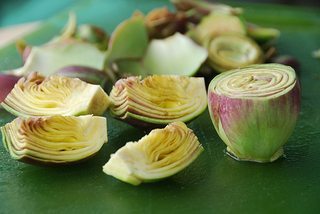 Browse other questions tagged italian-cuisine language artichokes or ask your own question. What are the breads with big holes and small holes called?